President Elect Trump tweets that he supports you and likes your product. Suddenly droves of people on the other side of the political divide are running in the opposite direction, or in the case of New Balance customers they have been burning their trainers. Do these things balance out with the new attention from the President Elect’s followers? Do you replace one set of customers with a whole new set of consumers? Something similar has been happening with LL Bean, and the company is working hard to distance itself from both the furor and partisan politics. The company has been eager to show that there are people with differing viewpoints that work for the company, and that the support of the President-Elect by one member of their board does not point to the whole company being in support. It’s a hard line to tread though. No one wants to be in the same boat as General Motors and Lockheed Martin whose stocks have recently dropped in response to critical tweets from Mr. Trump. It is not that previous Presidents haven’t had their favorite products, but few of them are as ready to share their opinions in such a divisive way. Is it engagement? Is it inappropriate? Other Federal employees are not allowed to publicly endorse a product, but the President isn’t bound by those rules. What Happens When You Bypass Traditional Media For New Media? There isn’t too much precedent for President’s so publicly engaging in this kind of conversation. Tweeting about who they like and don’t like, and why they don’t like them is a very recent thing; social media played a part in President Obama’s success, but despite his reputation as a technology President he hasn’t really been seen to be actively using his social media outlets to communicate. Apple found themselves on the receiving end of criticism when they refused to create a weaker version of their operating system after what turned out to be an error on the part of the FBI in investigating the contents of someone’s i-phone. Mr Trump threatened a boycott. And a number of companies have drawn attention for their overseas operations and the scarcity of work that they are providing inside the US. Waves are being made, and they come unexpectedly for a lot of people who, because of a single tweet, find the spotlight suddenly on them. Obviously speaking his mind is what attracted a lot of people to the notion of a Trump Presidency, and it is this same quality that scares those who do not agree with his politics, and what they see as the lack of filter in his communications. 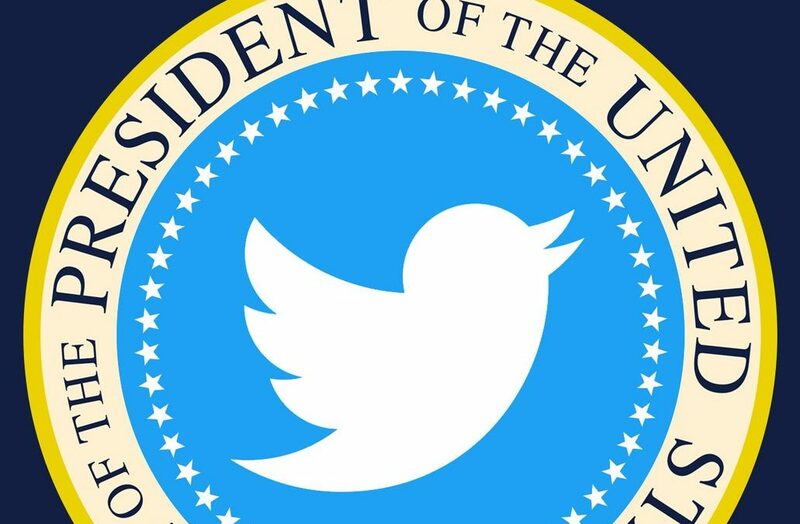 Social media has changed many things, and it looks to be one of the great changes in how the new President is going to handle his public persona and his Presidency, as compared to his predecessors. Companies that are favored by the President and those disliked by him are definitely in for some interesting times. Unhooking yourself from a celebrity that you used for an advertising campaign is one thing; distancing yourself from the President is a different matter entirely If you do decide to embrace the endorsement isn’t necessarily going to make for a smoother ride either.